GeoAIR, with the support of the Prince Claus Fund invites international artists to apply for a one month long, fully funded residency in November, 2014 in Tbilisi. Residency is the part of larger project “Cooking Imaginations - Tbilisi Migrant Stories” and selected artist is expected to work within it and produce additional socially-engaged art project around the interconnected theme of public space, migration and foodways. It is a popular understanding, that Tbilisi has been multicultural ever since its existence and people of different ethnic and cultural backgrounds have lived here in peace. 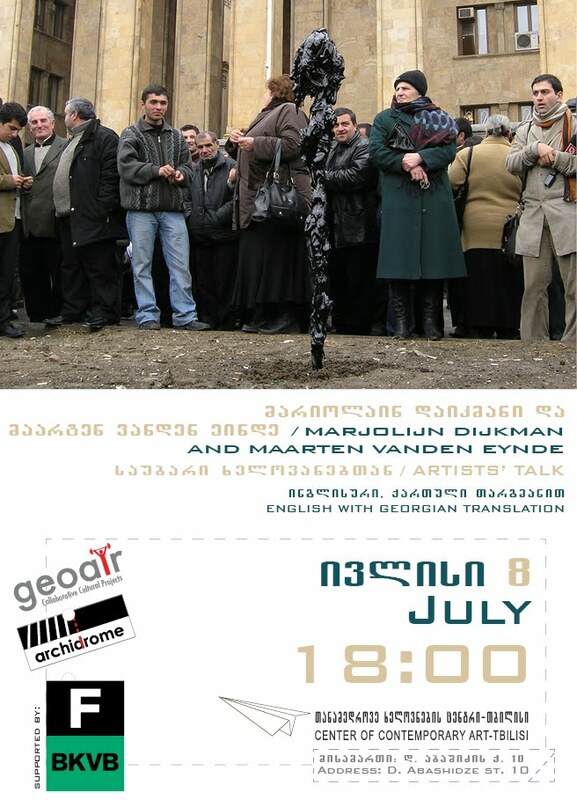 While this might be referring to groups historically living in Tbilisi, some stereotypes might prevail towards those groups and individuals, who have recently migrated to Georgia and live in Tbilisi. Project addresses the issue of displacement and “migrants’” lives through transforming their household and foodways in the engaged artistic works, transforming their stories and private space into public. The project also aims involving young professionals and on this case introduce them to anthropological approach and interdisciplinary collaboration in contemporary art. During the project we will work with people of different nationalities and/or ethnic groups who live in Tbilisi permanently, or temporarily. By cooking publicly and sharing their stories (through published and oral narratives) the project will emphasize creative approach to the understanding of public space and people inhabiting it.Throughout the project, young professionals (researchers, photographers, graphic designers) will be invited to participate in designing and implementing each cooking event with participants. Overall, the project addresses the topic of public space as transformed to the arena of cohabitation and space for open alternative activities, while raising awareness through foodways about migrants living in Tbilisi and involving interdisciplinary practical collaborations. Artist from abroad, who will be at GeoAIR in the month of November and implement additional site-specific work in public space regarding issues and/or cases addressed within “Cooking Imaginations - Tbilisi Migrant Stories” project.The work should be carried out in collaboration with local communities, students and/or artists. Selection results will be announced within a month after the deadline. Shortlisted applicants might be asked for an online interview until the final selection results. Cooking Imaginations – Tbilisi Migrant Stories project is supported by Prince Claus Fund. dear friends this is siraj saxena a freelance painter ,ceramic artist and textile artist from delhi india i would like to apply for your next international art residency . please do let me know your email id i would e happy to share few images of my art works.